The current site offers a rich learning environment to schools. It brings to life a hugely important part of Swansea’s history and fits in to the Cuuriculum Cymraeg on a number of levels. The site supports learning in History, Geography, Science, Literacy and Numeracy. 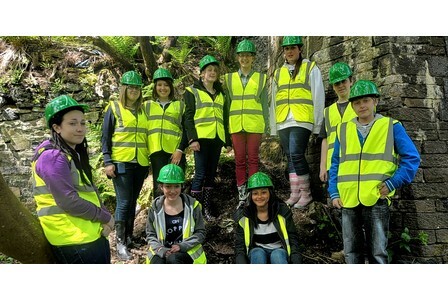 We have a team of tour guides who can lead school groups around the site and we have developed a resource for Key Stage 3 pupils to help teachers to explore the site’s history interacting with this website and the physical site itself. Pupils from Hafod Primary School Pentrehafod Secondary school and Ysgol Bryn Tawe have contributed to the site’s development, supporting the archaeological work on the site, contributing to the ideas for the concept of the artwork and recording part of the audio trail provides a range of exciting opportunities for learning. As the project develops, we hope to provide more opportunities for school pupils to get involved.